Congregation Tiferes Yisroel is an Orthodox synagogue, led by Rabbi Menachem Goldberger. Our members come from many diverse backgrounds. Some have always led an Orthodox lifestyle, while others first learned of traditional Judaism later in life. We represent a wide range of professions and interests, but being part of the Tiferes Yisroel family gives us a lot in common. There are so many things that make our shul special ... we can but lightly touch on of a few of them here. Not only do we all feel like a shul family, we keep the whole family of members in mind in everything we do, through activities such as Youth Minyan and youth outings, Shabbos groups for boys and girls of various ages, a playground in our yard, and a lounge upstairs that is reserved for nursing mothers and babies during Shabbos services. Our newest "family-friendly" addition is Camp Shabbos, a program that provides supervision and Jewish enrichment for younger children on two Shabbosos each month, to make it easier for parents to join us for Shabbos services. The joyous and uplifting nigunim (tunes) we use during services, many of them composed by Rabbi Goldberger, are something that we look forward to all week. Music, both singing and playing, is also a central part of many of our various get-togethers throughout the year, such as our annual banquet, Melave Malkas, summer Shabbaton and Lag B'Omer bonfire. It's a great way to draw closer to Hashem and each other. Both within our shul and throughout the larger Baltimore and even world-wide community, Tiferes Yisroel members take the lead in helping where they're needed, whether it's making sure guests are set up for Shabbos, doing repairs in the shul, collecting to buy furniture for a needy Baltimore family, or helping terror victims in Israel. We feel that connection to community is an essential component of Judaism. In particular, our connection to Israel is deepened by shul trips and by maintaining close connection with our many members which have made aliya. Our shul offers an impressive and growing schedule of opportunities to grow in Torah. 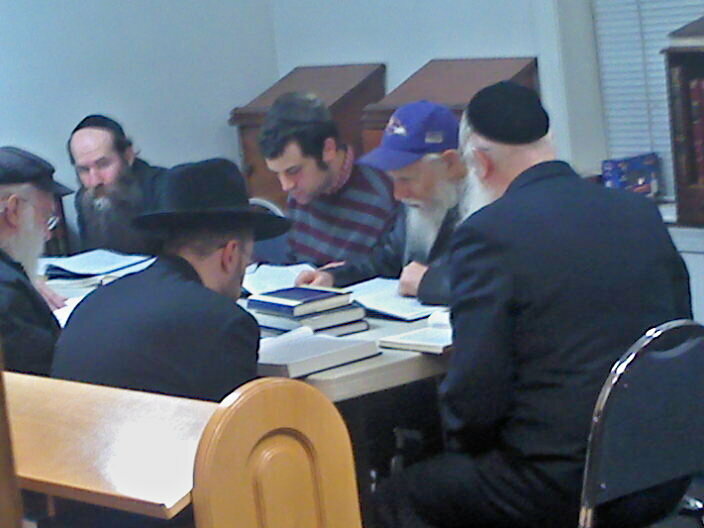 Rabbi Goldberger is naturally at the forefront of the shul's learning program, giving many shiurim in various topics to both men and women every week. However, many other members also have much to offer and give selflessly of their valuable time to share their wisdom with us all.